All Redi Shade products from Original to Artisan Custom feature no-tools installation. 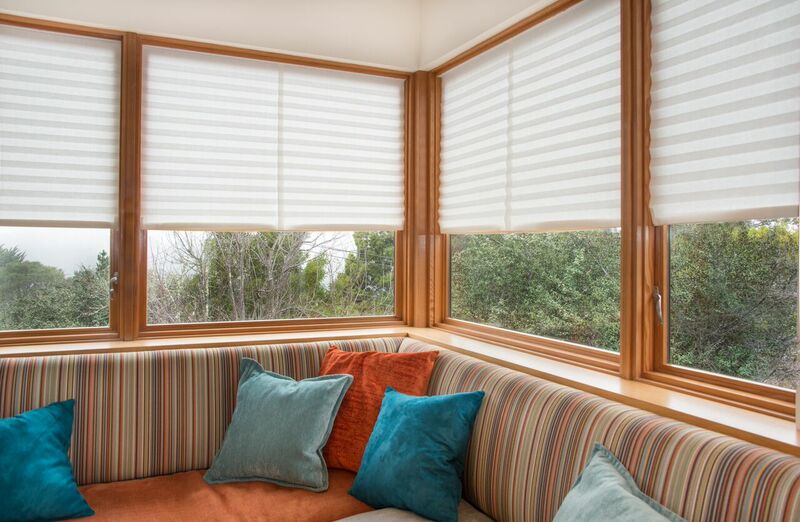 Install Redi Shade window shades yourself in seconds featuring either Simple Stick or Simple Fit Installation Methods. No tools needed to have your shade up in seconds. Simply peel the shade liner, then press to adhere the shade to your window. 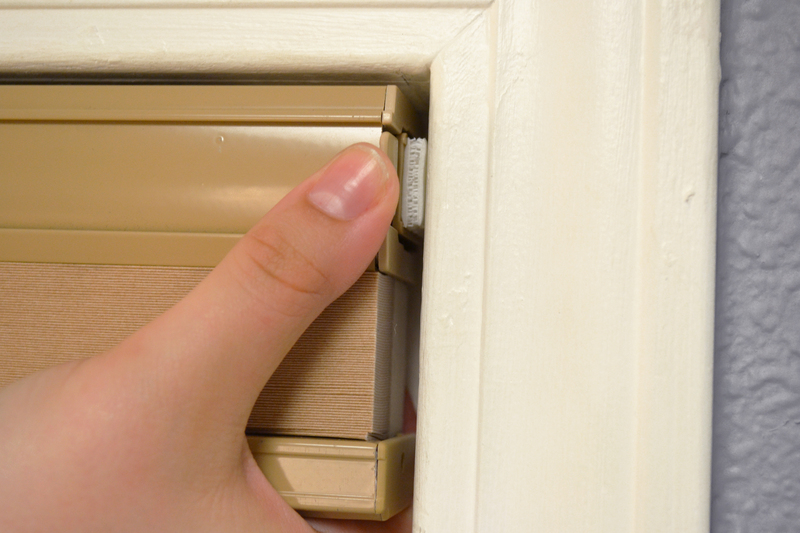 Simple Fit installation is available with inside mount only, outside mount is available upon request. For outside mount measurement and installation, removal, questions, or troubleshooting you can move over to our FAQ, or can give us a call at 1-888-608-6611 or Live Chat. If you ordered several shades, ensure you have the correct shade for each window. Check proper fit by holding shade in the intended window. Clean mounting surface with included alcohol pad and allow to dry. 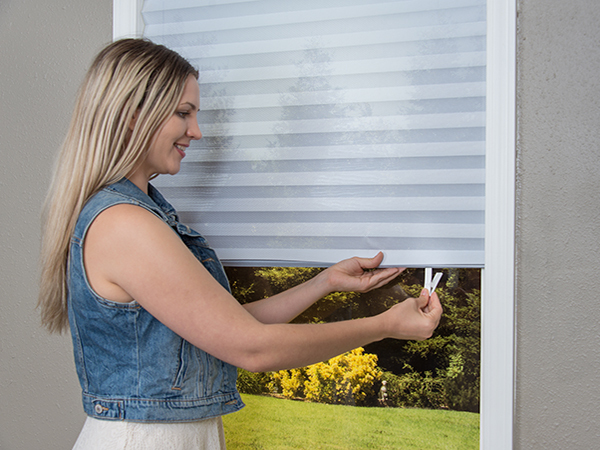 Ensure the tab side of the Pair Strip is facing the window side of the shade. Peel the adhesive liner from each adhesive strip. 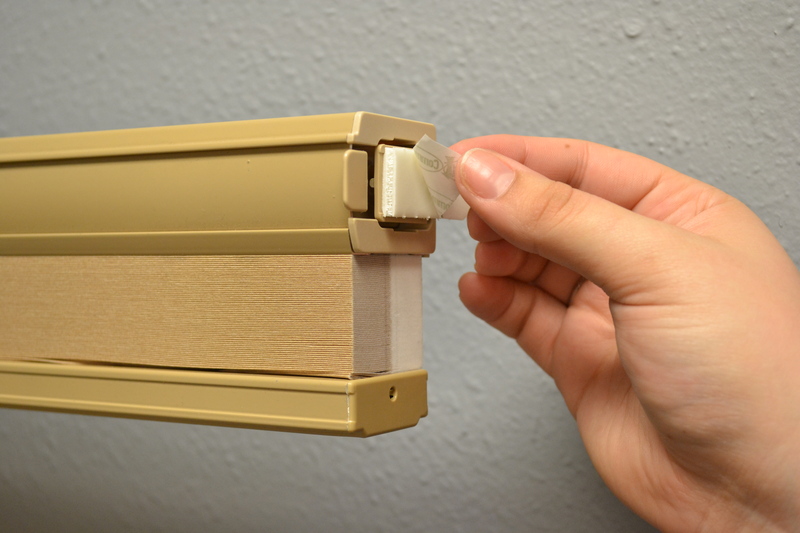 Place the Fixed End Mount of the shade in the window frame then raise and place the Trigger End Mount in to position. 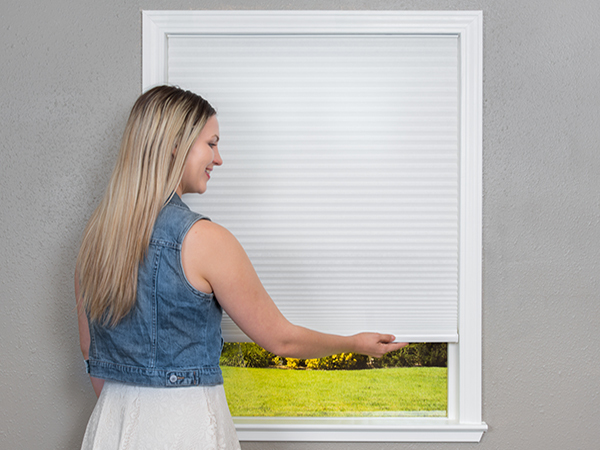 Press the Trigger inward (toward the window glass) to engage the Simple Fit system, locking the shade into place. Check to ensure a red warning line is not visible on Trigger End side of shade. If warning line is visible, remove and reinstall with a Spacer. Head to the FAQ for steps on how to do this. After reinstallation, if the warning line continues to be visible, please contact us. Lock your shade in place by pressing the Trigger inward with a light touch. Remove bottom rail end caps. 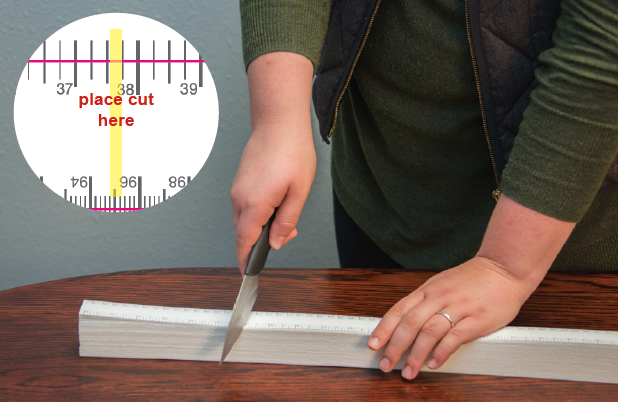 Place cutting guide at exact desired width. (No clearance deduction needed; it’s already included). Position the knife blade at an angle on the top of the shade at your exact measurement. Press firmly cutting through rails and fabric with a rocking motion and constant pressure. 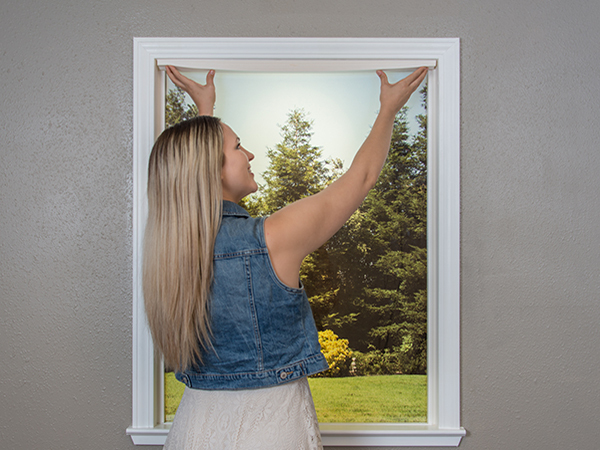 Trim each side of the shade to the same exact window measurement. Replace end caps on bottom rail. Head to the installation guide for more photos and videos. Press firmly across width of shade to install it. Pull shade down to lower, push up to raise. 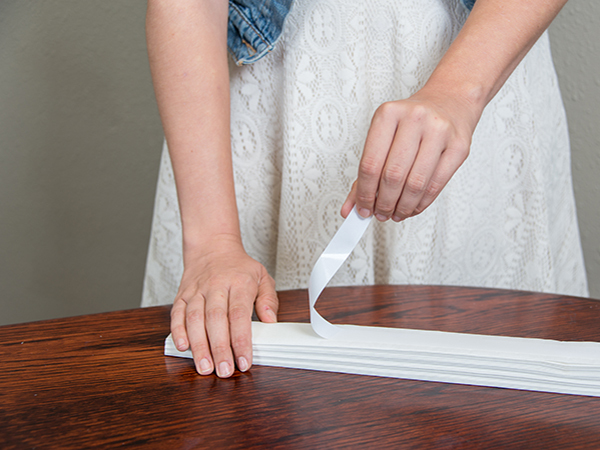 Trim the ends of your shade to fit the window using a knife. Press firmly across width of shade to install it.You can overlap two or more shades for larger size windows. Use the included clips to raise and lower the shade. If your trimming guide looks like this: You are using Original Arch Shade Version 1, follow the instructions for measuring and installation here. If your trimming guide looks like this: You are using Original Arch Shade Version 2, follow the instructions for measuring and installing listed below on this page. Please also note: Our trimming guide is designed for perfect arches only. Consult step 1 of the Original Arch instructions to see if you have a perfect or imperfect arch. We do have an Imperfect Arch Guide for slightly imperfect arches but if you have a significantly wide, narrow, or eyebrow arch, this product may not be for you. 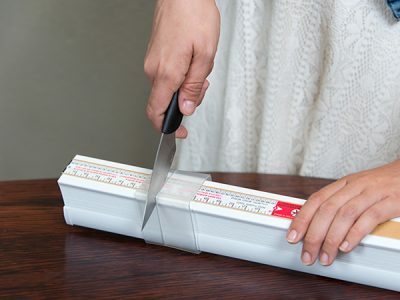 Using the exact width, position a straight edge knife blade on the trimming scale at the line matching your width measurement, then trim your shade. Note: our patented trimming scale already takes into account the clearance deduction for a proper fit inside your window. Wondering where to place your cut? 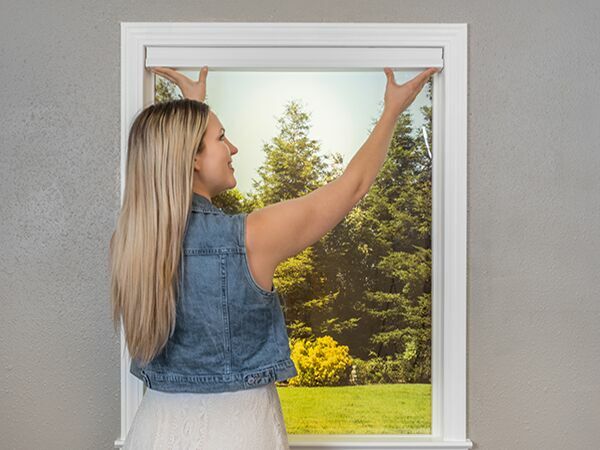 With the red instruction text on the left, locate the measurement of your window base to the right of the text (example: window base is 38”, trim at the 38” mark). Note: Be sure to install the trimmed section with the red instructional text on it rather than the trimmed excess to ensure a proper fit. 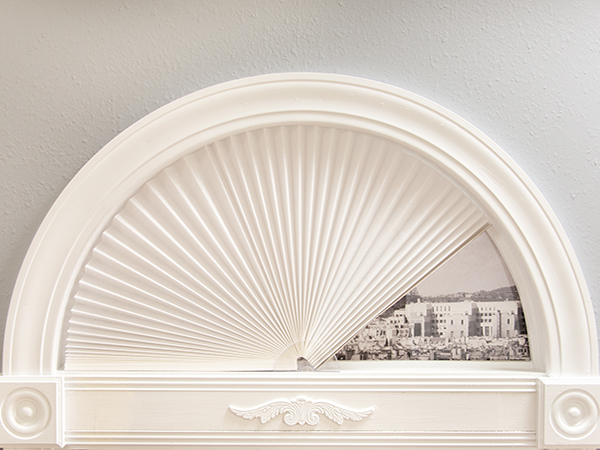 Place the shade into the arch holder, then into your window frame. 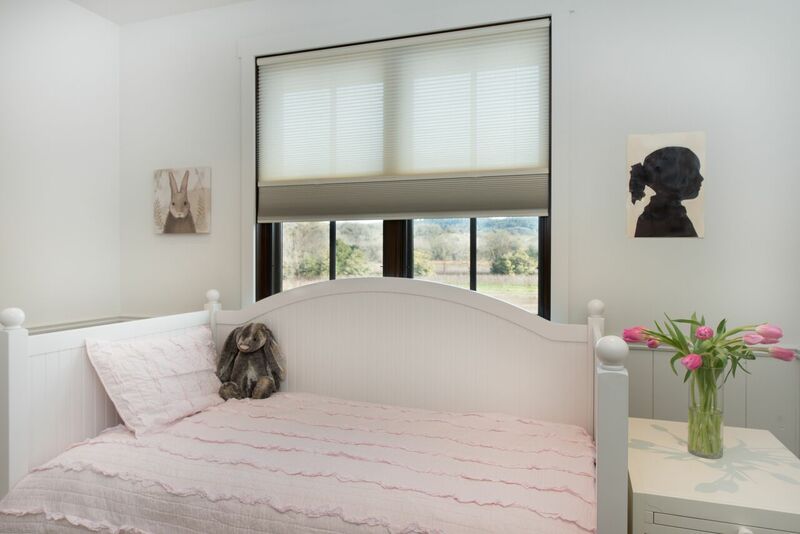 Fan the Original Arch Shade open and position in the window, then stick the shade inside your window frame. 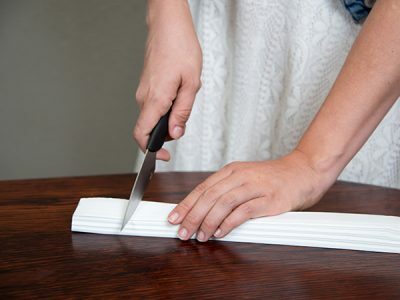 Using both hands, press firmly along the bottom pleats.